In his psychological trainings Frank Pucelik brings along his huge experience in the field of psychology and psychotherapy. 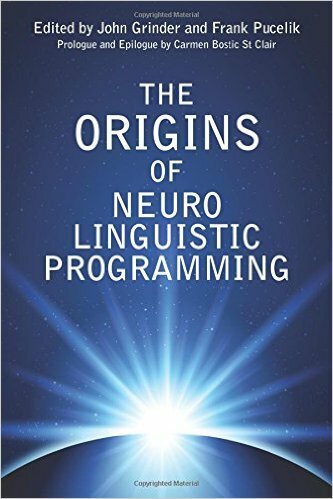 Alongside with Richard Bandler and John Grinder, Mr. Pucelik is one of the founders of Neuro-Linguistic Programming (NLP). As a distinguished psychologist and family psychotherapist Mr. Pucelik developed one of the most effective rehabilitation programs for drug addicts, which was acknowledged by the US Government and is being developed in Russia and Ukraine now. Our consultants provide various formats: single consultation, individual and corporate trainings, coaching sessions, supervision and regular advisory support. Besides, we fulfill long-term consulting projects including introduction of certain psychological techniques and procedures of communication in constant activity of a leader and employees that allows lowering quantity of negative interactions considerably, raising motivation and team spirit of a group, facilitating and optimizing information exchange process. PCG consulting projects have quite complex and extremely effective structure. Under Frank Pucelik’s guidance a group of consultants carries out preliminary evaluation of a business through interviewing employees from different hierarchy levels and different departments. Also, Mr. Pucelik holds in-depth discussions with the leaders of the company. That’s followed by the final meeting where PCG preliminary conclusions are discussed. A written report on results of this meeting contains full description of a current state of a company, including all problem areas and influence that they have on business productivity. That’s accompanied with the list of recommendations, solutions and suggestions for the further development of the company. Get assistance from Dutch experts: receive consultations from managers and professionals, discover study opportunities internships and find business partners in Holland.